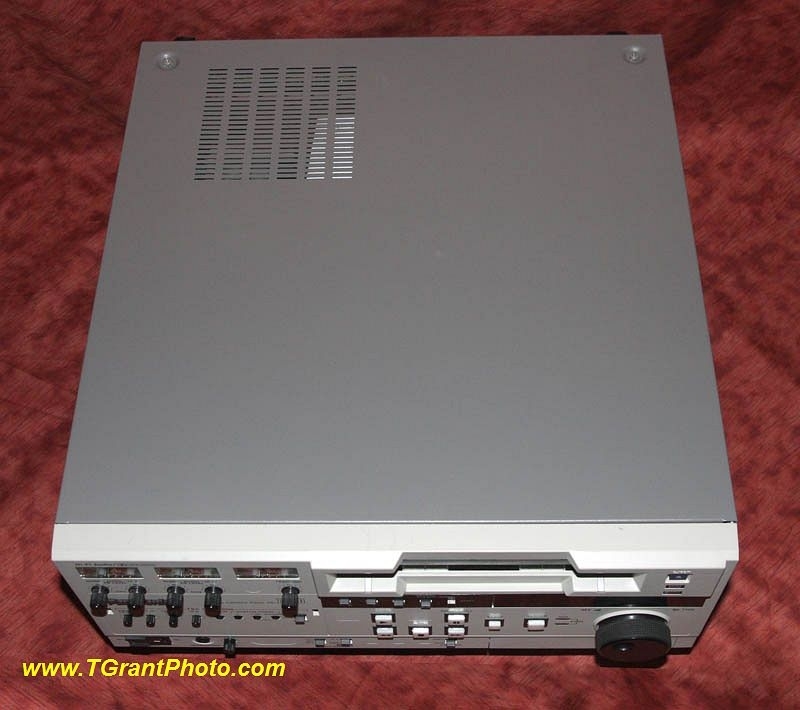 Used Broadcast quality VCR in excellent working condition! Low use, very clean inside. Lubricated, cleaned and tested! 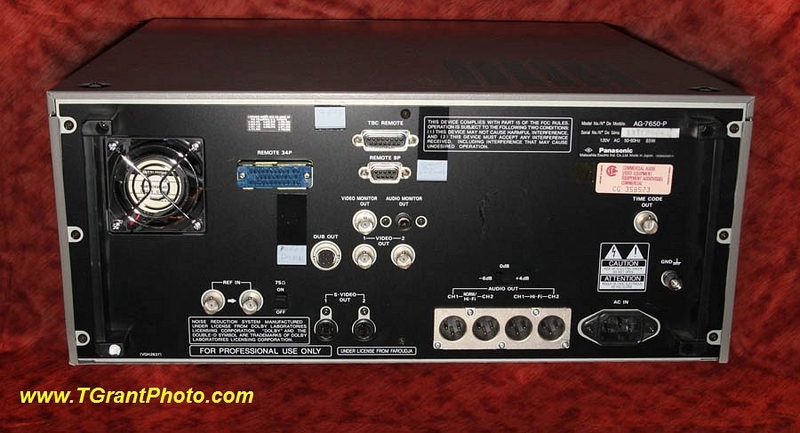 This is the same high quality unit as the AG-7750, but designed without the record functions. 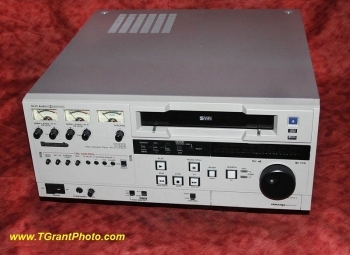 Important: This is a broadcast quality VHS machine, it is designed to play only SP speed tapes. 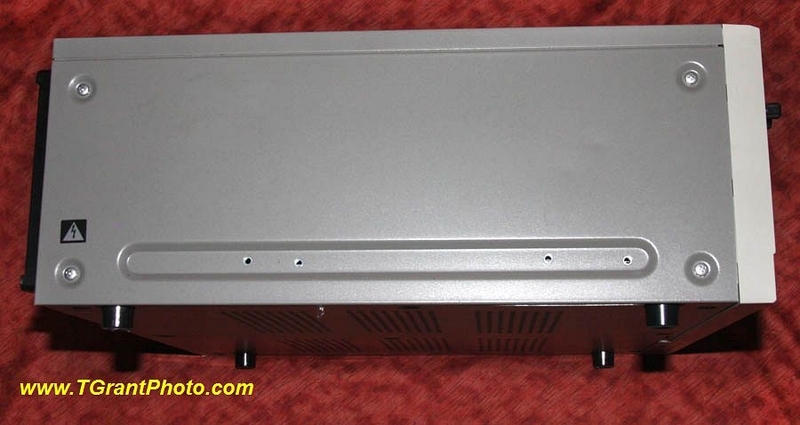 This VCR has special features that give sharper, more stable pictures than average VCRs. 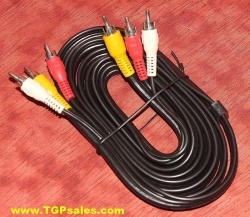 Ideal for transferring VHS SP speed tapes to a digital recorder (not included). ~ Digital TBC The built-in time base corrector feature really fixes lots of errors! For example, in a normal image of a door, you might see the vertical edges of the door looking "wiggly"....turn on the TBC and the vertical lines get stabilized. It's really quite amazing and one of the key reasons to own this VCR! The TBC has variable settings so you can adjust it to suit your needs. ~ Digital Noise Correction (DNR) removes much background noise. Several DNR settings are available, or it can be completely bypassed depending on your needs. 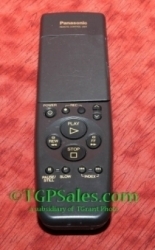 ~ Jog Dial allows you to easily speed ahead or reverse the tapes for editing or preview purposes. ~ on-screen menu allows you to adjust custom settings, such as auto-rewind, time off after pause, Dolby noise, and more! 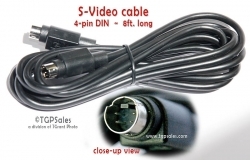 ~ Outputs: XLR audio out connectors ( we supply two XLR to RCA adapters); S-Video out connections; BNC video monitor connections; audio monitor connections and more! Condition: Very good working condition, cleaned, lubricated and tested by our a-v technician. Top metal cover has been nicely repainted, some minor scuffs/nicks on front plastic panel. 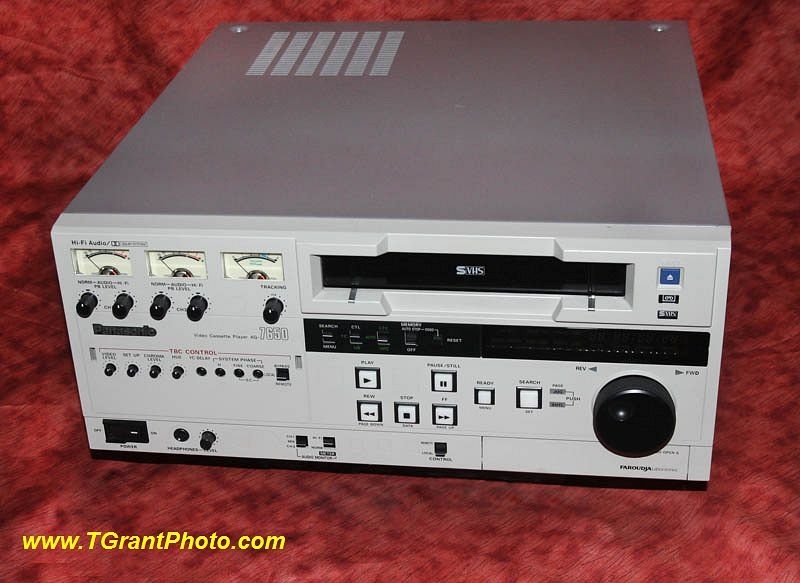 Important: This is a broadcast quality VHS machine, it is designed to play only SP speed tapes. 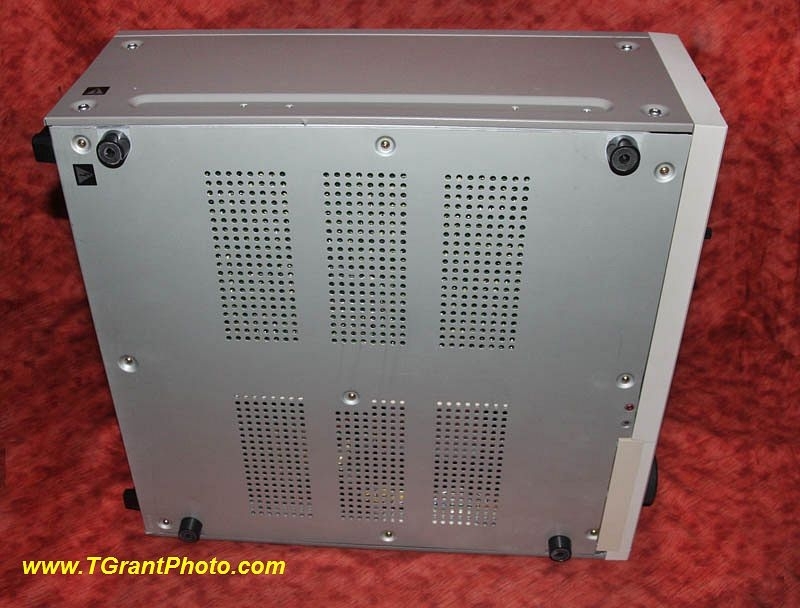 Shipping: This is a very well built, heavy-duty VCR, designed for broadcast studio work. It weighs about 40 lbs. Shipping charges to your location are calculated before you make your payment. We will pack your VCR carefully and safely. 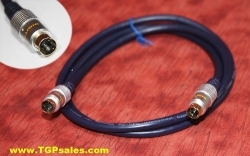 Sale Price: $710.00 / ea You Save: $25.00 (3.40%)!